Summer is Here; Let the Festivals Begin! There’s something on the calendar to please everyone this month, whether your family loves music, food, nature, or a good old-fashioned carnival. You can’t go wrong with any of these awesome activities, and many are free! So grab the family, slap on some sunscreen, and kick off summer at one of these great festivals taking place in and around the city. Now in its fifth season, Cultura is a free weekly Friday night festival in July that celebrates music, art, food, and film. Cultura features unique performers and artists, international street food vendors, creative and interactive art installations, and evening film screenings under the stars in Mel Lastman Square. Free. 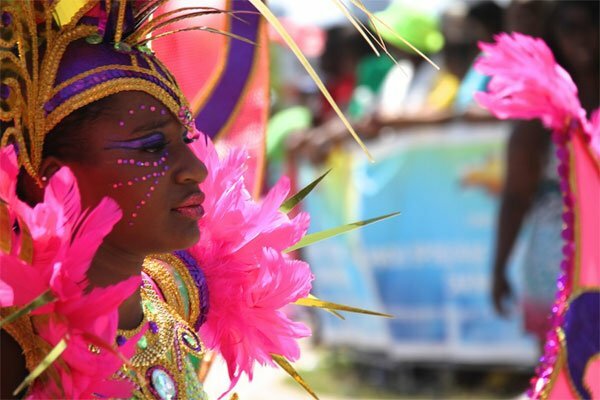 Scotiabank Caribbean Carnival Toronto is an exciting three-week cultural explosion of Caribbean music, cuisine, revelry, as well as visual and performing arts. Ticketed event. It’s impossible to define what exactly is African culture, music, food, film, fashion, and art. Join us for a weekend of exploration and engagement with the art, sounds, and tastes of Africa. Toronto’s signature Jazz event, attracting millions of people, is filled with great music, large crowds, and an engaging atmosphere. Free. There will be sweet and savoury specialty foods from the Chinese, Filipino, Japanese, Greek, French, Caribbean, Malaysian cultures, and many more. Keep your eyes peeled for the dragon parading around the streets of Chinatown as well as lively lion dances during the Festival hours. Free. St. Clair Avenue West will be transformed into a showcase of Latin Life where live music, dance, fiery food, and fun take over the street. Free. The biggest Thai community event in downtown Toronto with lots of activities and attractions. Free. Does your child love LEGO? Join us at Brickfête – a LEGO fan festival for the whole family. BIG ON BLOOR celebrates arts, culture, and small businesses with a unique community and city-building festival featuring hundreds of events, activities, exhibitions, and a play fair for kids. Free event. Canada’s largest Brazilian culture event dedicated to showcasing Brazilian culture including its food, dance, and music. Free. Youth Day is a multimedia festival put on by those 14 to 29 years of age for Toronto. It celebrates the positive achievements of young people by showcasing their music, dance, art, and photography. Free.